Several years back I made one of my very first videos called "Mary Jane Slippers" (they are seamless), which I uploaded on my first YouTube Cannel called "Czech-o-Slovaks". Later on I decided to create a new YouTube Channel for my "HandMadeRukodelky", which (as many of you know) is totally dedicated to my tutorial videos about knitting and crocheting. Someone saw the "Mary Jane Slippers" video and sent me a request to do a video on "How To Knit Adult Slippers". 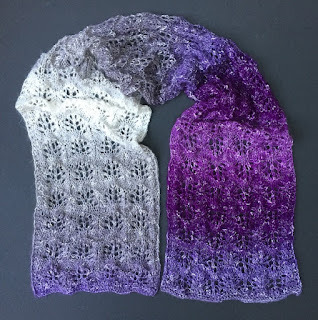 I made the video and started writing the pattern, but never posted it due to working on too many projects at the same time. The other day, I got another request from one of my followers asking me if I could, please, post the written pattern for my adult slippers from the video. 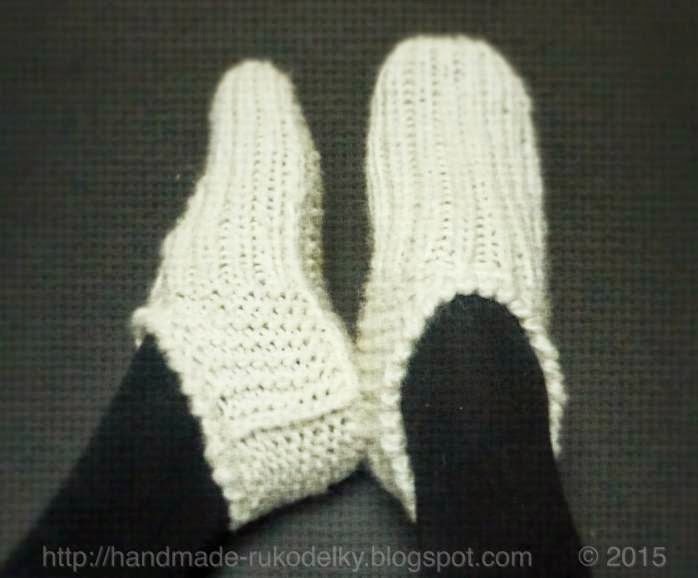 I finally found a time to sit down and finish my post about these slippers. And YES - you can share any of my patterns and videos with your friends/groups, because if people visit I can keep going, do what I love = create patterns, take/edit images, make videos, etc., and share them with all of you. height in back - 3"
Row 21 (WS) with your third DPN start knitting these new casted on sts: K10; then move yarn forward (in front of the knit between both DPNs) and slip first st from 2nd DPN onto knitting DPN, move yarn back, and K7 sts from your left needle, then with yarn in back of the knit - slip last st from your left DPN onto your right (knitting) DPN (= do not knit your last st); then turn your knit again so you can continue CO stitches along the second side and CO 10 sts. You have 10+9+10 stitches on 3 DPNs.